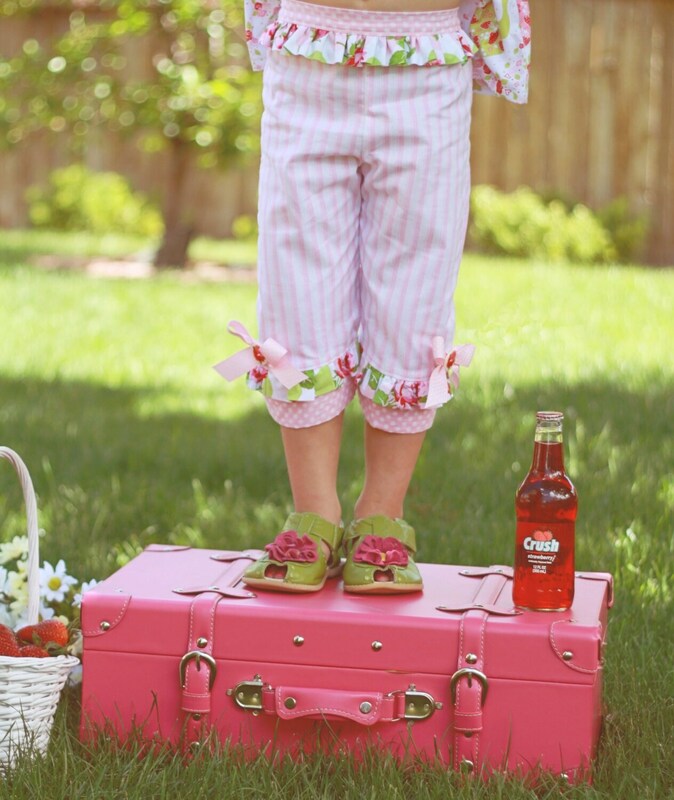 The Skip and Play Pants and Capris are the perfect wardrobe essential for your darling little one. 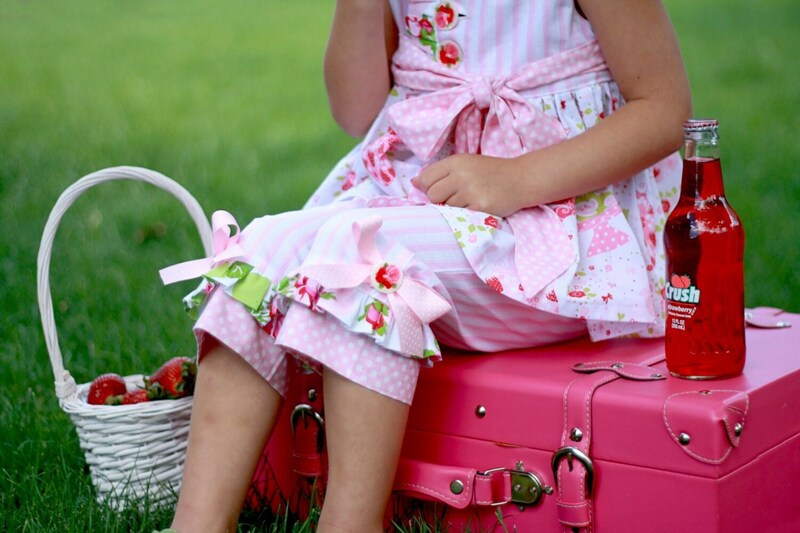 The pants and capris feature a flat front waistband with elastic in the back, several contrasting cuff options and a sweet ruffle in the waistband for added whimsy and detail. View A, the double wrap cuff variation, features a bottom cuff with a wrap around top cuff that can be trimmed out with a button on each side. View B is a ruffle cuff variation that mimics view A; however an adorable ruffle replaces the wrap around cuff. And View C, the basic variation, eliminates the ruffle in the waistband and is perfect for an older girl who might prefer a more mature style pant or capri. No matter what variation you choose this pattern will take your child through all seasons. This is great pattern for confident beginner sewers and offers many ways to get creative with your design. 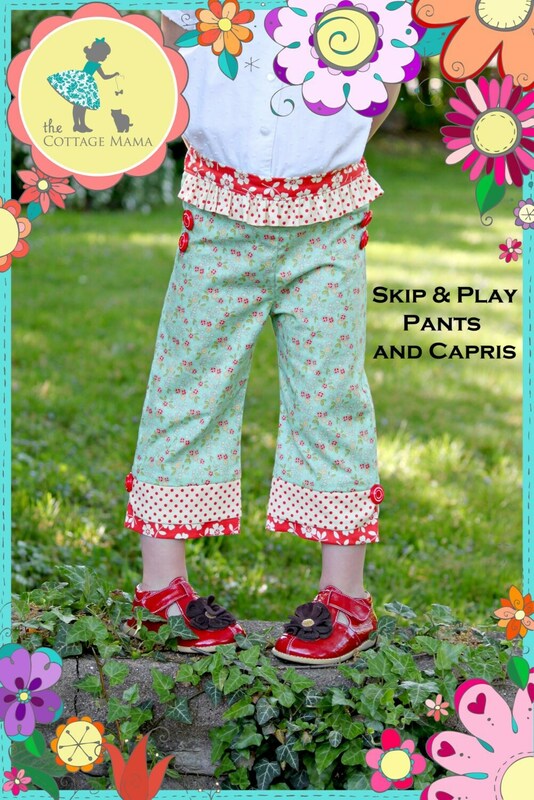 Consider mixing and matching these pants and capris with many other designs from The Cottage Mama collection of sewing patterns! 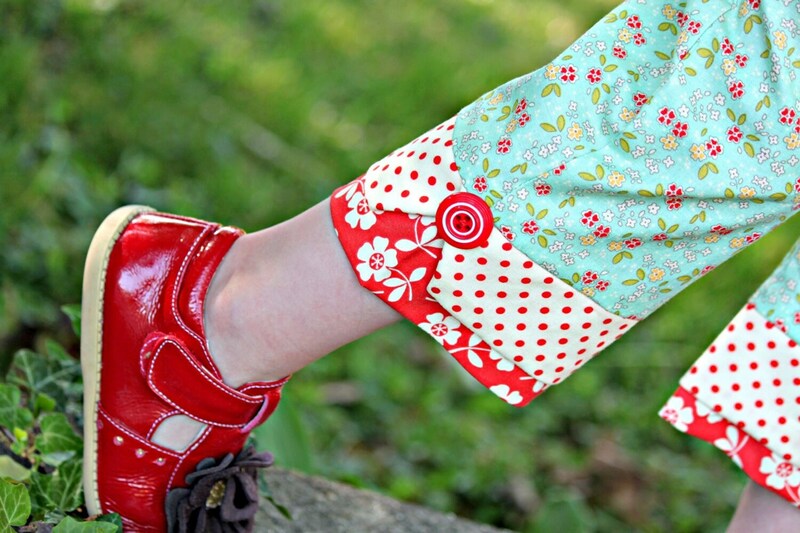 Pants and Capri Pattern includes size 6 Month through 10 Years. PLEASE NOTE: These pants have a slim fit through the hip, so pay VERY careful attention to your child's waist measurement when selecting the proper size. Pattern includes full-color front and back cover as well as detailed step-by-step instructions with color photographs. Instructions are in booklet form, printed on high-quality paper. Full-sized pattern sheets included as well.